All we want for Christmas is a Home! 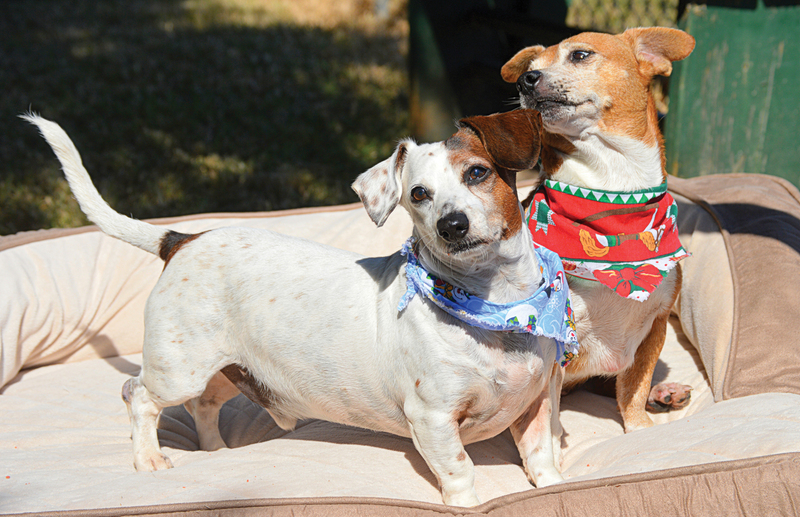 Zipper and Chewie are a bonded Dachshund pair. Their owner became ill and could no longer take care of them. Zipper is a 9-year-old distinguished, handsome and low-riding chap, who walks beautifully on a leash. He is sweet, loves treats, other dogs, and adores playing with toys. Chewie is a 10-year-old happy, very chill little dude! He is easy on the leash, gets along with other dogs and enjoys a nice stroll in beautiful weather. He also loves treats and looks like a ground hog checking the weather when he begs. All Zipper and Chewie want for Christmas is a new forever family to love them. They are available for adoption at a “2 for 1” adoption fee of $50. If you would like a couple of cuddly, playful guys to add joy to your life, come visit these two awesome seniors! Check out all of the deserving dogs and cats available for adoption at www.bayareapetadoptions.org or visit the facility at 3000 Avenue R, San Leon. The shelter is open every day except Wednesday from 11 a.m. to 5 p.m. Some adoptable cats can be seen daily at PetSmart (1921 Gulf FWY South in Dickinson). Dogs are shown at PetSmart on Saturdays 11 a.m. – 4 p.m. and Sundays noon – 4 p.m. Bay Area Pet Adoptions (Phone: 281-339-2086) is Galveston county’s only non-profit, No-Kill shelter, pet rescue, and adoption organization.